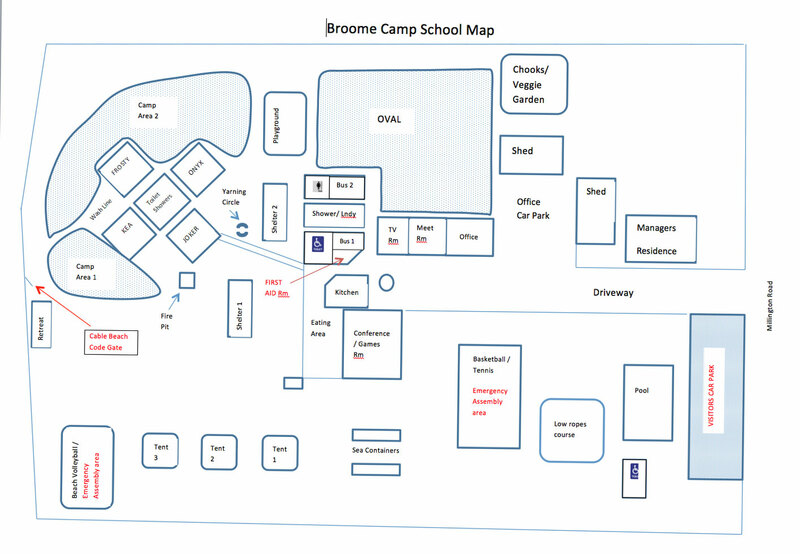 The following have been included to assist you with preparing for a camp with the Broome Camp School. to download our Excursions Price Sheet. to download our Camp Booklet. The overall curriculum outcomes targeted. Planning and preparing the camp-liaison with the Camp School Manager who will assist. The general welfare of the students. The induction process while at camp. Supervise the end of camp clean up/maintaining camp cleanliness. Ensure suitable standard of care is maintained at all times. Responsible to the Camp School Manager. PLEASE NOTE: Parents Helpers: Assist with domestic duties and participate in group activities. Parent helpers should have no instructional or disciplinary responsibility. Ensuring a qualified person in First Aid and aquatic accreditations is on site. Providing Principals and Group Leaders with all the necessary information regarding the Camp School. Helping teachers in developing a programme to suit your needs and budget. Being familiar with and giving assistance with natural and social sciences pertaining to the area. Supervision of arrival and dispersal of groups. Conducting the camp school orientation. Ensuring satisfactory discipline and standards of behaviour. Ensuring each group leaves the Camp School in good condition. AT LEAST ONE MONTH BEFORE THE CAMP! Discuss the proposed camp with your Principal, Committee or members and the Camp School Manager. Refer to the Department Policies for guidance and seek Camp School Managers assistance if required. Integrate the proposed camp across the curriculum. Pay your deposit in order to secure your booking. Camp Medical Authority Form & Camp Permission Form sent home and returned. Organise cheque/credit card for excursions/tours i.e. Camel Ride, Astro Tour etc. The cheque for accommodation and meals is to be made out to Broome Camp School please. NOTE: We will invoice you at the end of the camp! Finalised evening programme & have alternative ideas if tour operators cancel at late notice – just in case. Briefed all who are attending camp on everyone’s role at camp including the role of Camp School Manager and staff. Forwarded final details of the camp to the parents and received payment for camp. Discussed and organised duty tasks with the students. Discussed the clothing list and taken home. Completed the Camp Policy form. When in doubt liaise with Camp School Manager. Debrief the camp with the students, appraise the camp. Any outstanding payments to be sent. Camp diaries and photographic display in the school library or classroom. Write a report for the school newsletter or town newspaper. 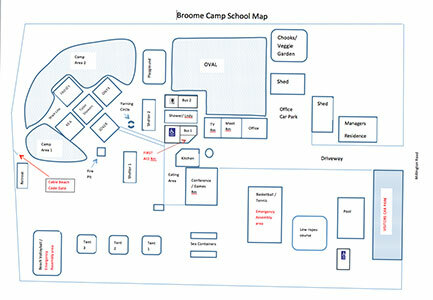 Make a booking at the Broome Camp School for the following year!